These two Howard grads are bringing homecoming style energy to the boutique hotel biz. WASHINGTON– (July 3, 2018) – In an effort to become a thriving, young, Black-owned boutique hotel management company, Howard University alumni Damon Lawrence and Marcus Carey, launched Homage Hospitality Group in 2016. 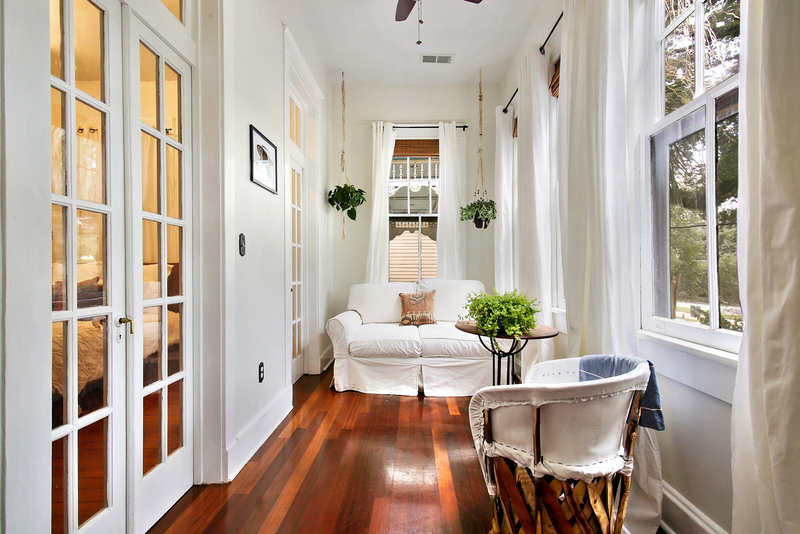 After years of development, the duo has opened “The Moor,” their first boutique hotel, or what they prefer to call “home,” in New Orleans. Their website, www.stayhomage.com, allows for direct booking with stay available from July 8. The Moor is expressed as an immaculate space, paying homage to the pioneers, and highlighting pivotal moments that mold Black culture. It is the first Homage Hausotel, also known as a boutique home, which differentiates itself from a hotel and a bed and breakfast. The Moor, launched on July 1, 2018, was developed on the property of a Spanish-colonial home built in 1921. It is a brand new four-unit hausotel (hotel) with an African and Moroccan vibe in the Mid-city District of New Orleans on the historic Canal Street. Each of the four units feature living spaces, bedrooms, and kitchenettes. The design direction and property architecture are inspired by the Moors of North Africa’s influence around the world, and pays homage to the melting pot heritage of New Orleans, one of America’s truly global cities. Each new Homage property location will be designed as boutique homes with hotel accents and event programming capabilities, that help travelers get to know the communities they’re within. Their inspiration to develop such a business stemmed from experiencing the diversity and entrepreneur-driven energy of Howard University. “After transferring from the University of Louisiana at Lafayette to Howard University at the end of my sophomore year, I was amazed at the diversity within the diaspora. I didn’t realize the need to celebrate, not only what brings us all together, but even what separates us culturally as well. In fact, each Homage property will pay reverence to the locale in which it’s situated. No detail will go unnoticed in providing guests with an experience that highlights the best of our culture from city to city,” says Lawrence. Lawrence, who is from Pasadena, Calif., earned a bachelor’s in legal communications, and he has taken this knowledge and applied it to his prospering career in hospitality and business. His professional background stretches among some of the best hotel brands in the world. He was a front desk agent at Thompson Hotel Group’s Donovan House Hotel in Washington, DC, then moved into management at companies such as The Ritz Carlton, Intercontinental Hotel Group, and Dusit International. After seeing a lack of African American brand ownership and leadership in higher management ranks, he created the Homage Hospitality Group. He leads operations and the creative direction for properties. Carey, who dreamt of becoming an entrepreneur, launched his career by working with institutional venture capital and private equity firms and helping global teams assess investment decisions. He earned his bachelor’s in business administration with a focus on finance. He says he was influenced by the culture of Howard, while also inspired and trained to understand business markets driven by culture. Carey joined Lawrence to launch Homage Hospitality Group in 2016, after crossing paths in Oakland, Calif. As a consummate problem solver, he leads their business strategy and fundraising efforts and currently resides in Oakland, where the flagship and second location, The Town Hotel, will open in 2019. As for their first opening, The Moor, Carey believes this and other locations will help guests feel immersed in the “the dynamism of our people.” Lawrence expressed that Homage Hospitality Group will help in developing the community within and outside of their locations, with travelers and locals, as they grow as a Black hospitality business. The two alumni are excited to secure bookings, open for availability starting July 8 at www.stayhomage.com. To receive a discount on your stay, use the promo code “Launch” through July 4th for 60% off.